The kids dental experience is not what it used to be. Did you just hear all the clapping and cheering from kids near and far? Today, many pediatric and family dentists practice the most innovative, skilled and empathetic dental care for children. In fact, if you’re looking for a location for kids dental cleaning Lowell residents rave about, you’ve come to the right place! 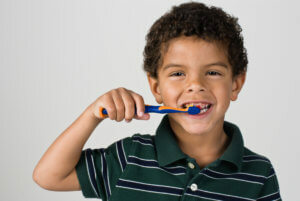 Witness compassionate, experienced, and specialized-pediatric dental care to set your child and family up for success. Kids Dental Cleaning Lowell Kids Look Forward to! The latter is one of the most important points. Having a solid knowledge of how to maintain optimum home-care for teeth and gums will help reduce the possibility of cavities, gum disease, and other dental conditions. Your dentist may have additional tips and tricks to help empower you and your child for best dental hygiene health. We make it easier than ever to begin your child’s path of positive dental care in and out of our office at Kangaroo Smiles. Simply click here to request an appointment. The American Academy of Pediatric Dentistry recommends that children have a dental check-up every six months. If you have any questions about kids dental cleaning Lowell parents rely upon, please call us anytime, 978-449-4140.